Every year, Microsoft brings a couple thousand specialists from every corner of the globe together for a few days to Bellevue and the Microsoft campus in Redmond, Washington. The Microsoft MVP community represents every discipline and Microsoft product. The MVPs are the external advisory committees for each Microsoft product group. They give us early prerelease versions of products and share protected information about product strategies and future development. Within each of our technical communities, we sit with the leadership, architects and developers of each Microsoft product team to validate their ideas and give feedback on designs and features. Every MVP is under strict non-disclosure agreements and we are reminded in every session that one violation can screw up the trust and privilege for the entire community. Believe it or not, the product teams take this feedback seriously and prioritize a lot of their work around our suggestions. In those cases where they go in different directions, they explain their thinking and strategy. MVPs don’t discuss, tweet or blog about these details so you’re not going to learn anything more about undisclosed features here. There was a movie in the 60s called “The President’s Analyst”. James Coburn played Dr. Schaefer, a psychiatrist who becomes the US president’s personal analyst. He learns all the president’s top secret information and gets chased around by all kinds of bad guys who want to use his knowledge for their evil designs. Unlike Mr. Slugworth trying to get the recipe for Willy Wonka’s Ever-lasting Gob Stopper, I have not been offered untold fortunes to sell Microsoft secrets to the other guys but I do feel very privileged to be trusted with important information and some very cool tidbits of things to come. Microsoft has publically revealed some of their high-level plans for next-version SQL Server, Self-service BI, Office, Azure cloud computing and SharePoint development so I can officially say that there is a lot of movement going on in these areas. Please stay tuned for specific announcements as soon as we get the green light to talk about details. Since I’m not going to talk tech and details in this post, I’ll share a quick funny story. In the keynote session on Tuesday, after Microsoft CEO Steve Ballmer finished his highly-energizing address to the general audience, Tony Richards, General Manager of Community & Online Support introduced the Seattle Mariners’ Moose. The baseball team mascot did his usual crazy routine to get the crowd energized by running around the 2,000-seat hall, giving high-fives & throwing baseball team swag. North Americans were in the minority so most of the MVP crowd didn’t really get the baseball culture and just stood in front of their chairs with little enthusiasm. American and Canadian sports fans tried our best to set an example for everyone else by jumping, hand-clapping and singing but the crowd just didn’t take to it and the overall low energy was a bit of an anti-climax to an eventful meeting. I just have to imagine that the mascot went home to his wife and said something like “Honey, you’ll never believe the day I’ve had. Microsoft hired me to do to this geek convention and the crowd wasn’t into baseball or a dancing moose”. Poor guy. It just goes to show that you can’t force culture onto a diverse audience – but they certainly tried. Unlike most technical conferences, the attending MVPs all work and participate while at the summit. Sure, we socialize but most of the time, everyone is networking with others and racing from each meeting and session to another to be engaged and involved. The summit was awesome and the MVP community is unlike any other organization I’ve seen. We’re volunteers and we give our time and energy to a community that we love. Please seek MVP bloggers. 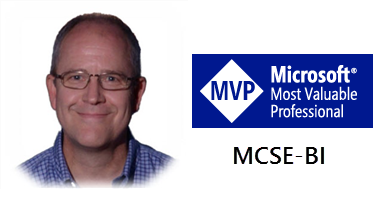 If you need project consulting or training, look for MVPs. Look for MVP authors when you shop for tech books and watch for local events and user groups hosted and organized by MVPs. Our efforts are backed by Microsoft leadership, the product teams who develop the software you use, our employers, vendors, large organizations and community leaders. Please support the community that supports you. I’ve just moved my blog from a site I hosted myself using the dasBlog ASP.NET application to WordPress.com. Please let me know if you experience any issues at all. 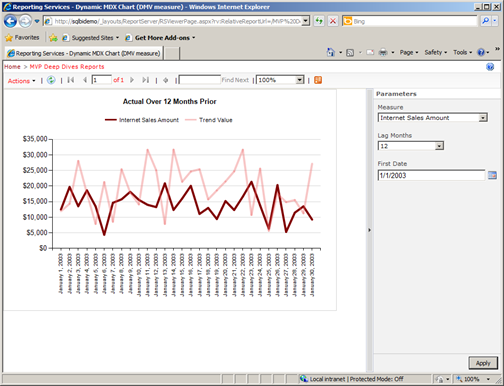 Traffic to my domain at http://sqlserverbiblog.com is redirected to the new blog site at https://sqlserverbiblog.wordpress.com. WordPress is a much more robust blogging environment so please enjoy and let me know what you think. Since there is no easy way to migrate content between the two formats, I had all kinds of fun opening each individual post and then reposting to the new site! Use the Email Subscription option on the right-hand sidebar to receive notification of updates.